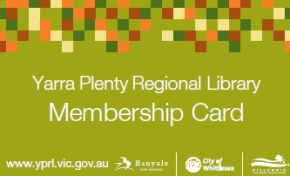 Yarra Plenty Regional Library offers a range of children's services and programs in the Cities of Banyule, Whittlesea and the Shire of Nillumbik. An interactive one-off session for parents of newborns. Learn about the benefits of reading, talking and singing to your baby and get valuable information about your baby's literacy development. A free board book is provided upon joining. Bring your baby along to this fun session of rhymes, stories and fingerplay. Sessions run for approximately 30 minutes. Bring your toddler along to this lively, interactive session of stories and songs. Your toddler will be able to hear simple stories, sing fun rhymes and dance to action songs. Sessions run for approximately 30 minutes. Bring your preschooler along for a fun session of stories, rhymes and action songs followed by a simple craft activity. Sessions run between 45 minutes to an hour. Stories, songs, rhymes and activities in selected languages - French, German, Chinese, Italian, Vietnamese, Japanese. Enjoy stories, rhymes and action songs followed by a simple craft activity. Sessions run between 45 minutes to an hour. Enjoy stories and rhymes followed by a simple craft activity. Sessions run between 45 minutes to an hour. Wear your pajamas and bring along your favourite toy for an evening storytime session at your local branch. An interactive storytime for all children but especially suited to those who do not like large storytime sessions, are on the Autism Spectrum or have sensory processing challenges. The storytime takes place at Mill Park Library on Mondays and Thursdays 1.30pm - 2.15pm. Contact Mill Park Library for more details. Did your kids grow up going to storytime at the library but now they are a big kid? We have after school activities for primary school children that is just what you are looking for. We always have programs and activities happening. Our School Holiday Program run every school holidays at all branches. Pick up a brochure from any branch, or click here download the latest brochure (when available). The Summer Reading Club (SRC) runs through the summer break, beginning in December and finishing at the close of January. 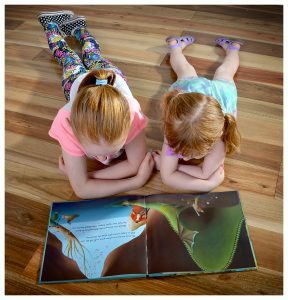 Join the program at your library and pick up an SRC kit, featuring activities and a log to help children to keep track of their reading. Visit the library and reap the rewards: the more children read, the more chances they will have to win. Ask the friendly library staff to help you find that perfect book. There’s also the opportunity to attend a range of themed events that will encourage reading throughout the holidays. More information about the program will be available on our website hereopens a new window.